Happy October! I’d say happy autumn, but California has apparently decided to do away with seasons. If anyone feels like sending their rain or colored leaves my way, I’ll take whatever you can spare. October has been a great month. I’ve recovered from my surgery, the never-ending health woes seem to have (touch wood, throw salt, pet a unicorn) actually ended, and I’m feeling pretty damn good these days. Which, of course, means more writing! I’ve begun plotting the fifth and final Elements book. I’m taking my time on this, as I want to get it just right. My writing schedule is pretty full these days, so I won’t start drafting the book for several months. However, I plan to release it in 2016. Anyone going to Vegas in April? I’ll be there for the RT Convention. I’ll be signing at the Giant Book Fair and generally wandering around the hotel, trying not to get in to much trouble. It’s Vegas. There will be alcohol. There’s reason to be concerned. 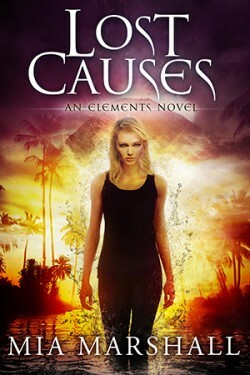 Finally, the big news of the month: from October 15-January 15, the Elements series will be exclusive to Amazon, so let your friends with Kindle Unlimited know they can check out the series for free. If you want to buy the books but don’t have a Kindle, there are ways around that. Check back in a month for the latest updates! New release info + a copy of Strange Fires (Elements #0.5)!